Image | This entry was posted in Milwaukee, Photography and tagged Downtown Milwaukee, Grohmann Museum, Milwaukee, morning sunlight, sunlight through clouds. Bookmark the permalink. What a gorgeous photo! 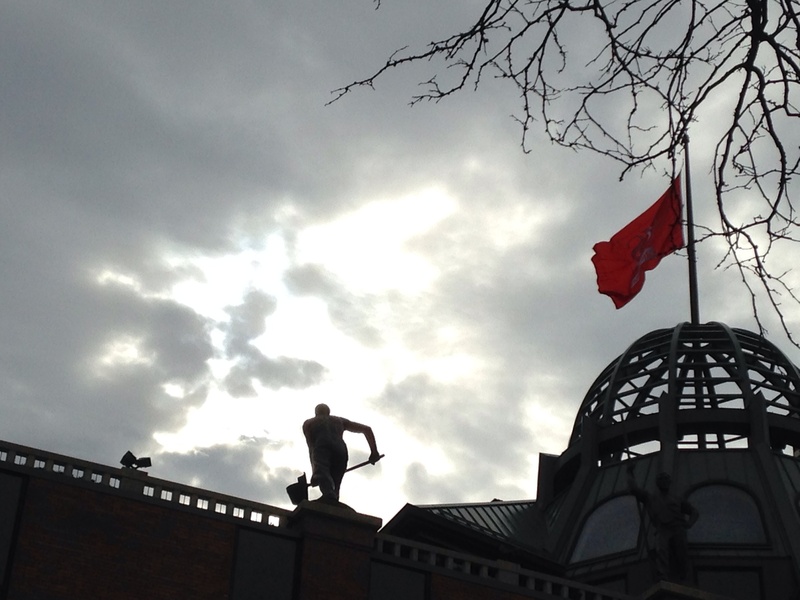 I particularly love the silhouetted figure and the pop of the red flag.